We had such a great day celebrating Campbell's birthday yesterday. We're having a fun party with all of our closest friends and family tomorrow so we kind of held off doing much celebrating on his actual birthday. We still made the day special though and I'll always remember it! Campbell slept in on his birthday and decided to wake up at 7:15 instead of 7:00 am. Crazy kid. 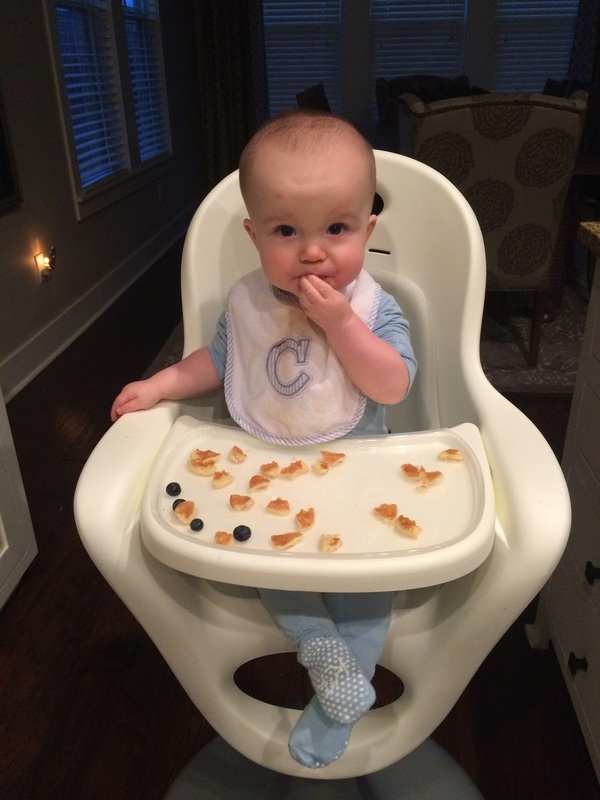 We kicked off his birthday with two of his favorite foods--pancakes and blueberries! After breakfast we went up to our bonus room to play like we always do except instead of making Campbell watch Good Morning America I let him watch Mickey Mouse--Pirate Adventure. 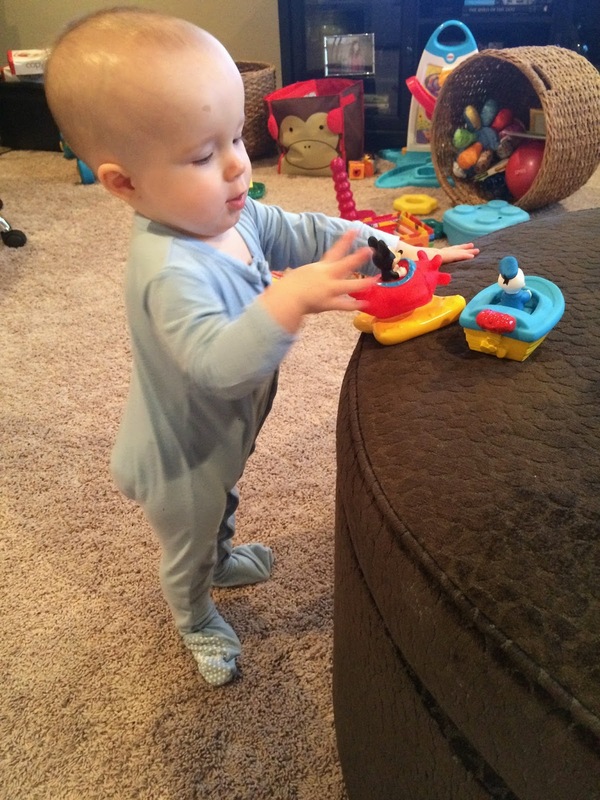 I also let him open up a present from Mommy and Daddy----Mickey and Donald bath toys! 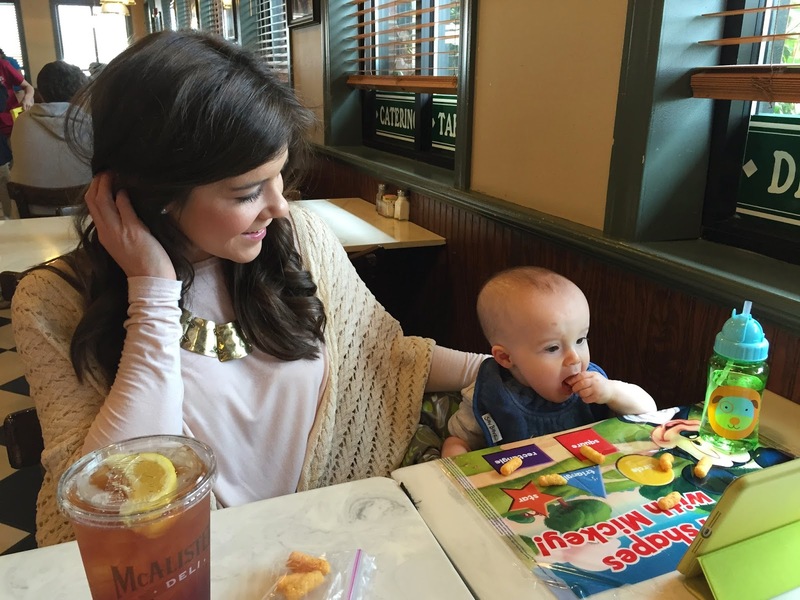 After playing for a few hours Campbell took a nap and when he woke up we went to lunch at McAlisters. 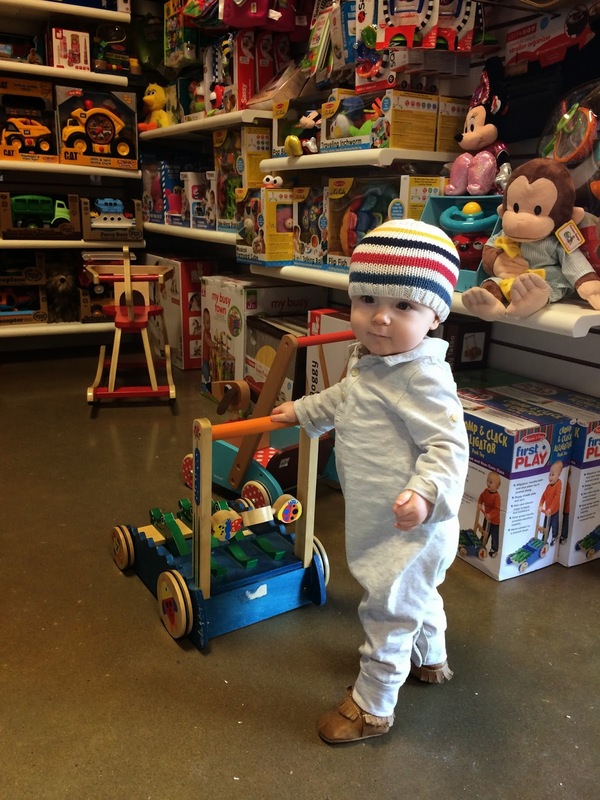 After lunch I took Campbell to a really fun toy store here in NWA called Dilly Dally's. He had a blast playing with all of the toys and I had fun too! Before we knew it, it was time to head home and get ready for a nap. While he took a nap I ran a few errands then by the time I got home it was almost dinner time. My parents came up from Little Rock and my MIL stopped by the house too so we could all be with Campbell on his actual birthday. We went outside and got some pictures of the little peanut and by the time we were finished it was time for him to take a bath and go to bed. I would say Campbell had a pretty great first birthday. It didn't consist of too much but he was surrounded by the people he loves and that makes him the most happy!